The use of automated teller machines is declining because of the popularity of new types of financial technology, but Virginia community bankers say that doesn’t mean ATMs have outlived their usefulness. Alternative payment methods such as PayPal, Venmo, PopMoney and Zelle give consumers more choices at a time when the number of ATM withdrawals is falling. Transaction Network Services released a survey in September showing that American bank customers are using ATMs less frequently. The survey found 29 percent of respondents said that they never use ATMs, up from 21 percent in 2015. Virginia community bankers say they are adapting to customers’ changing habits in their use of ATMs and other services. 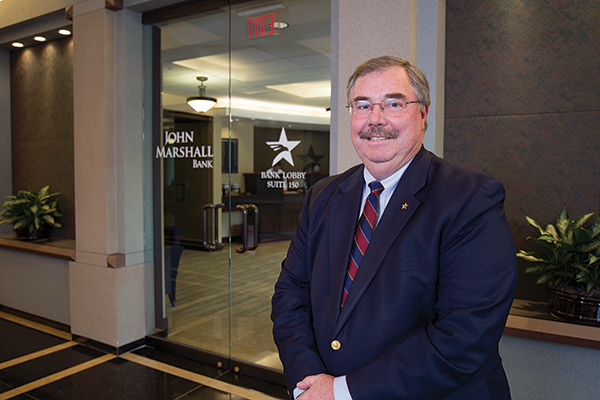 While ATMs used only as a cash dispenser are going “by the wayside,” smarter machines are taking their place, says Steve C. Yeakel, president and CEO of the Virginia Association of Community Banks (VACB). “The ATM is in evolution. Manufacturers are adding features,” he says. For example, interactive teller machines (ITMs) look like ATMs but offer videoconferencing. They allow customers to talk with bank employees about their accounts, just as they would in a teller line. A recent survey conducted by Fiserv Inc., a financial services technology provider, shows customers have an appetite for other ATM features. 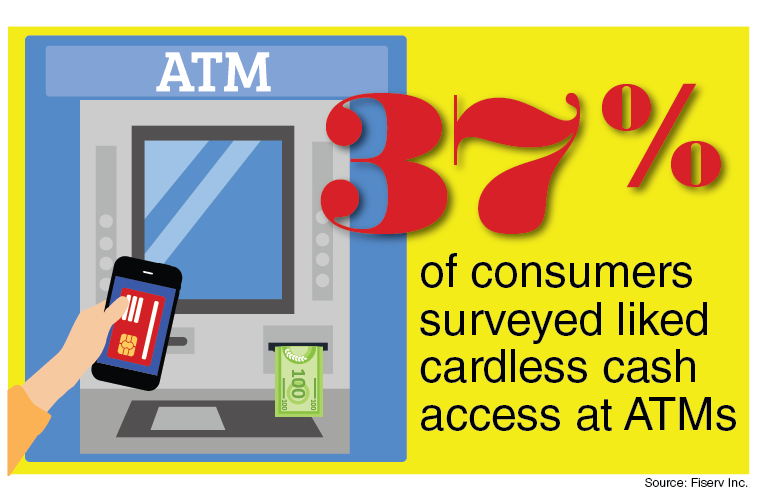 For example, nearly two in five consumers (37 percent) in the survey liked cardless cash access, in which smartphones instead of bank cards are used to withdraw money from ATMs. More than half of the millennials responding also favored cardless access, which is being offered by an increasing number of banks throughout the country. Only 7 percent of respondents in the Fiserv survey, however, said they already use the service, while 22 percent said they would only use it in an emergency; 16 percent said they felt it would keep others from accessing their PIN; and 6 percent said they would use it to avoid carrying their debit cards. As some banks close branch offices to reduce costs, ATMs can offer a way for them to maintain a presence in various locations. “If you’re looking to brand yourself, the way a branch raises a flag, an ATM does that to some extent,” Yeakel says. While there may be a decline in the number of ATMs, “I do not think we should expect it to be at the same rate as branch closures,” Fruit says, because financial institutions can move the “cost-cutting” needle more by closing a branch than by closing an ATM. The suspected role of younger customers in the declining use of ATMs is exaggerated, say community bankers. A 2016 BI Intelligence survey found that 44 percent of millennials were unwilling to stop using cash, even if electronic payments could replace all cash transactions. The big trend among younger customers is peer-to-peer payments, says Brian K. Plum, president and CEO of Blue Ridge Bank in Luray who is chair-elect of the VACB. Do fewer ATMs hurt a bank’s ability to promote itself?